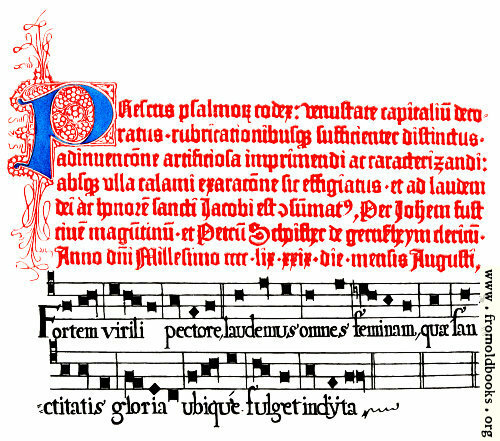 Part of a page from Fust & Schoiffer’s second Psalter. 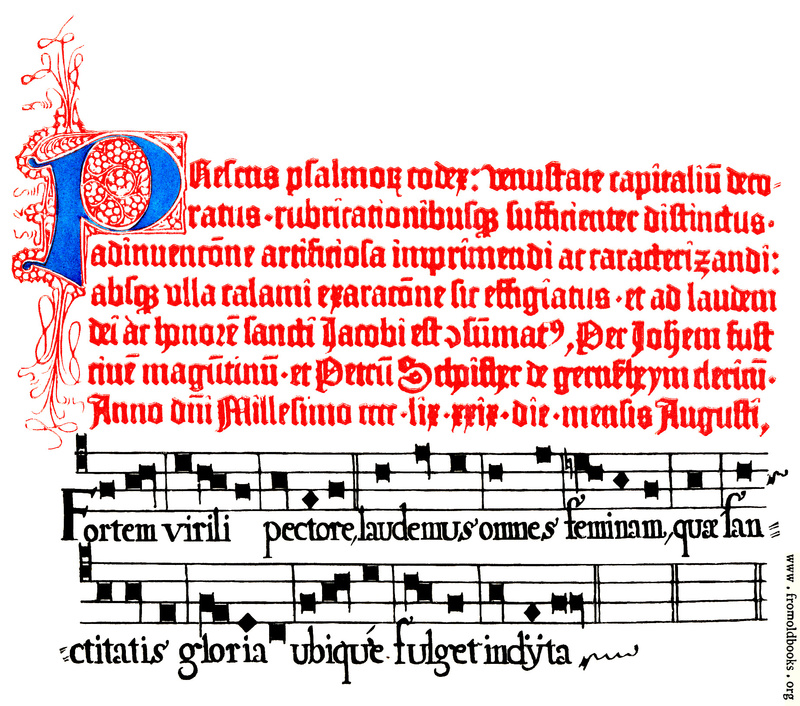 A.D. 1459. 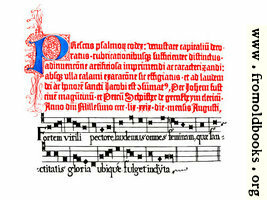 Johann Fust of Mainz was one of the earliest German printers; Peter Schoiffer, or Peter Schoffer, was his son-in-law. They set up a printing-shop in Paris, it seems. The Psalter was first published in August 1457, and was reprinted from the same type (so a new issue rather than a new edition, perhaps), in 1459, 1490 (shown here), 1502 and 1516. 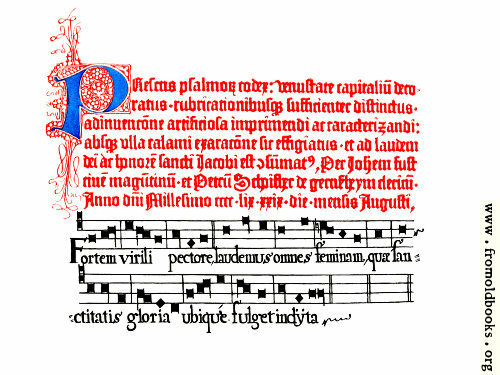 It is printed in red, blue and black. See also Jacobi on Fust, of Faust. Compare this figure with the Würzburg Missal in volume 2.